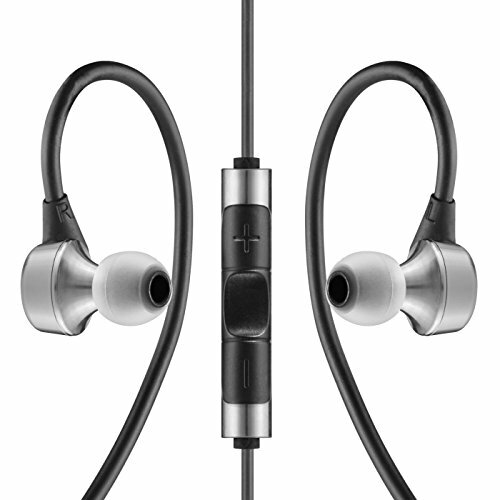 Blackberry Passport, Firestone Amp RHA t10i earphones! In last week's review of the Blackberry Passport I mentioned that I would cover the aspect of audio performance in a separate article. Those that know my articles will be aware im not a huge one for buying into certain audiophile DAP myths. Yes there are differences to be found on higher end players but they are usually very minute and extremely overblown by enthusiasts. For most people an all in one device for on the go is perfectly ample. 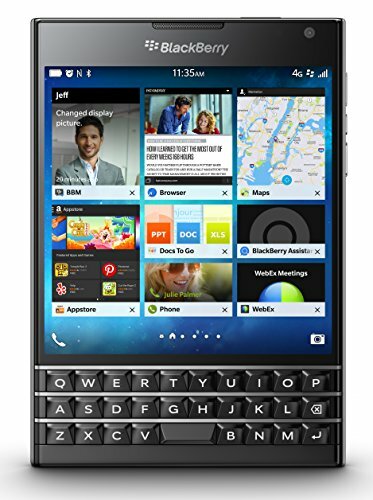 At the end of the day a device like the Blackberry Passport sounds very good and there are measurements out there that I will talk about later. How good the device performs to an individual is of course subject to perceptions, bias and placebo when comparing it with other devices but just know that with the Passport you are getting a device that has ample power for most headphones and earphones, has a very flat frequency response curve and a whole host of other benefits. So here we go. Upon first listen of the Passport with my Minerva custom IEM's I was impressed. The phone drove my earphones to a sufficient volume and I instantly noticed a black background containing virtually no hiss or grain to the audio recordings. The player sounded very balanced with no one frequency being dominant over the other just nice and smooth presentation, good rendering of strings and vocals. Energy wise there was good crisp punch to it. If I was to compare the listening experience to any of the "audiophile DAP's" on the market it would be the very good (sound wise) Colorfly C3 due to the black background. When I tested with some more power hungry headphones such as my a Fostex t50rp or the Beyerdynamic DT880 volume and drive levels suffered with as you would expect due to the increased impedance on both units. However as long as you stick appropriate impedance headphone you should have no problems driving them from the Blackberry Passport. With that in mind it was on to a rather lengthy A/B testing session against the Xperia 3 and Iphone 6 Plus. Testing was conducted with my Final Audio Pandora Hope VI headphones straight from the headphone out. These headphones have an impedance of 8ohms and are incredibly easy to drive from any source, they have been my weapon of choice for the past year having replaced my Audeze LCD-3. As mentioned I was blind testing...no really. I kept the headphones and sleeping mask on and had my partner take down notes etc while changing devices and cuing tracks from the critical listening playlist I use from every equipment review. The results were impressive with the Passport winning 80% of the head to heads, the iphone came 2nd and the Xperia 3 last. They all sounded pretty good though but it was interesting to see that result as when I did the same thing with the LG G2 Iphone and Xperia about 6 months back there was no clear winner. Maybe the passport is better or maybe my ears have just been tuned to prefer it over the past few weeks. Later I performed another similar test but this time putting the Blackberry Passport up against the Colorfly c3 (review) and Fiio X1 (review). The Passport came a close second to the C3 with the X1 dragging ever so slightly behind but really there wasn't much of a difference. The X1 was identifiable as the bass felt a little stronger/sloppier whereas the Passport just remained ruler flat. The C3 had a definite mid prominent sound. This is probably the part where people not familiar with the testing and technicalities of audio gear might want to switch off but for those that use this site for audio gear here we go. I don't really care for measuring gear, as someone who doesn't run this site for profit just fun and enjoys critically analysing audio gear. To me the hobby is as much about testing myself as it is the gear and the though of sitting down with graphs and analysis equipment just reminds me of days in the engineering labs as a student. However, I do recognise that it is the most accurate method of acquiring standardised result of performance so in that regard I will use the GSM Arena test results as a base for explaining what is going on. First up the frequency response graph looks every bit as flat as the Passport sounds. When connected to headphones the Blackberry beats out the Iphone and Galaxy note 4 in this area. However when it comes to the THD (total harmonic distortion) and noise level the Passport slightly loses out. When we look at the stereo crosstalk the Passport does beat the Iphone but not in any significant way. Now these measurements are all well and good but you should note that in many cases you probably wont hear too much of an audible difference. You will get way more of a positive or negative effect by changing up your headphones and earphones that by switching a device. File support on the passport is of course excellent with the device able to play back any of the audio file types I would recommend. Thats it for the files I have on the device but if anyone else wants to leave a message below in the comments section confirming other types then I can add it to this section. So lets take a look at the playback options on offer... where can we listen to our music. The Blackberry Passport music player app is well laid out and has good playlist support as well as a range of playback options whether is songs albums genre etc. Navigation is excellent as you would expect from an app designed specifically for the BB10 system. Where it lack is just that its a little basic. While there is an option for equaliser it cannot be customised instead relying on presets like rock, pop etc. The absolute gold standard of music playing apps on Blackberry Neutron offers us a host of options and settings. The normalisation feature works very well at optimising your EQ and the playlist and tag support are excellent. Its not the best lay out I have seen (there are a lot of buttons) but for sound quality and features alone its well worth the $6 on the Appworld. Easily a must have for any BB user into audio! Spotify is Spotify. I assume everyone knows what it is right now so I wont go into detail on this as I don't personally use it. However, as it is the most popular music streaming service out there then I thought it to be worth at least testing it out to see how it runs on the Passport. You will have to install the android app for this one but it seems to work well. The number of artists on the platform is a bonus but it seems to lag behind Tidal when it comes to future prospects....especially in the high end audio world. I know, Jay-Z and Beyonce are pretty much insufferable d___s by this point & Kanye seems to have gone of the deep end. However, Tidal is pretty damm good and I suspect after seeing the number of devices from the likes of Oppo and Aurender at this years HIGH END 2015 in Munich at the weekend its going to be a very big thing for high end enthusiast. The google app installed smooth enough and playback instantaneous. I like the tidal rising feature as its given me a few good recommendations so far like Shamir- Vegas. Audioquest Dragonfly with Blackberry Passport - Light comes on... no one home..not working. Sorry guys I tried. During my coverage of high end expo in Munich this week I had the chance to test the phone with a number of amp and Dac units. 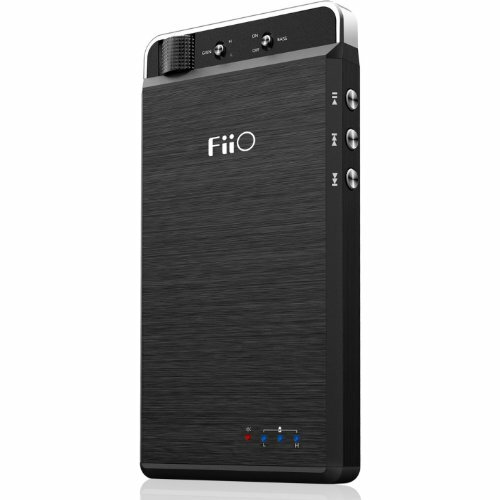 Unfortunately of the roughly 20 units tested I found that Fiio units such as the E18 and E17 was the only success I had. Units from ADL, JDS and many more were useless with most resulting in the device being registered in sound settings as a headset device. As a result the sound came out of the speaker. Back home I tried the unit with more of my gear with similar results, Firestone HDB+ - Nope, Audioquest Dragonfly - Nope. Even the mighty Aurender Flow and Oppo HA-1 were unable to connect. I tried different apps from both Blackberry and Android stores. I tried the USB Player Pro App.... no joy. So in short I would stay stick to Fiio for now but if anyone wants to message me with units that work I will gladly keep this article updated for fellow BB users. Thankfully though the DAC inside the Passport seems to work pretty well. In testing I observed that the phone actually amps admirably via the headphone out. The output signal is very clean to begin with so when used with a transparent amp unit such as the 02 your setup can now drive more demanding headphones with good results. For those on a budget I liked the SMSL-SAP5, its a standout little unit with a clean sounding class A amp for $70. For those wanting a bit more then JDS Labs C5 is a good choice albeit a bit pricier. When it comes to bluetooth the only way i would recommend anyone use that is with aptX and thankfully it is a feature on the Blackberry Passport. AptX allows you to wirelessly transfer files to your headphones at a increased file rate (near lossless). There is still some compression of the file going on here but audibly its leaps and bounds ahead of standard bluetooth or infrared streaming. The right headphones are essential to take advantage of aptX. For a fairly cheap aptX in ear option there is the Brainwavz BLU-100 that should be released soon (reviewed here) and of course the excellent Sennheiser MM 450x for traditional headphones. Given the flat frequency of the Passports sound it works with well with pretty much any set of earphones. So I would say just find something that suits your own genres and listening preferences. Headphones and earphones are always going to make the majority of the difference with sound quality and tuning so put your focus there. 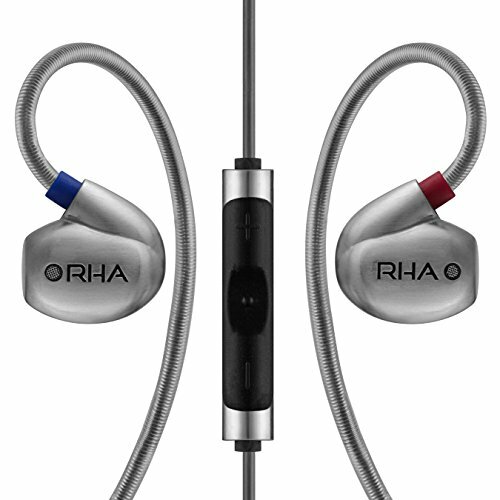 Myself when not using my custom earphones I will use the RHA T10i. I love these earphones the bass absolutely slams and they are great for anything from rock rap pop and electronic. For something a bit easier like jazz or classical I use my Audeo PFE112 that I have had for years. Headphones at home and work are my Final Audio Sonorous 6 a true masterpiece when it comes to listening. So that's it theres not much to say other than the Blackberry Passport is a very good sounding device out of the headphone out it works well with a range of headphones and has every app that will keep all but the most fickle happy app wise. File support is excellent and it amps well. Unfortunately for those that like to use a range of external USB DAC's this phone is, for now, not going to be for you. On a personal level i love it for the balanced sound and the fact it drives most of my headphones sufficiently. The benefit of having something that sounds really good in my phone means I don't have to carry a second device most of the time but the real kicker for me is on the battery life front. The passports battery is the longest lasting of all flagship and means it just keeps crank the tunes out forever. Note: As I was covering HIGH END 2015 I wasn't able to get this article up on Tuesday as I had promised. Apologies to anyone that was waiting. I think I mentioned before this site is not my job, I run a property company and AudiophileOn its meant to be informative and fun for people that have the same interests, so thank you for the patience. I am back in the UK now so will have the article on photography with the Blackberry Passport up this coming Tuesday hopefully accompanied with a video of doing proper epic stitch panorama's. Stay tuned and feel free to drop me a message below.